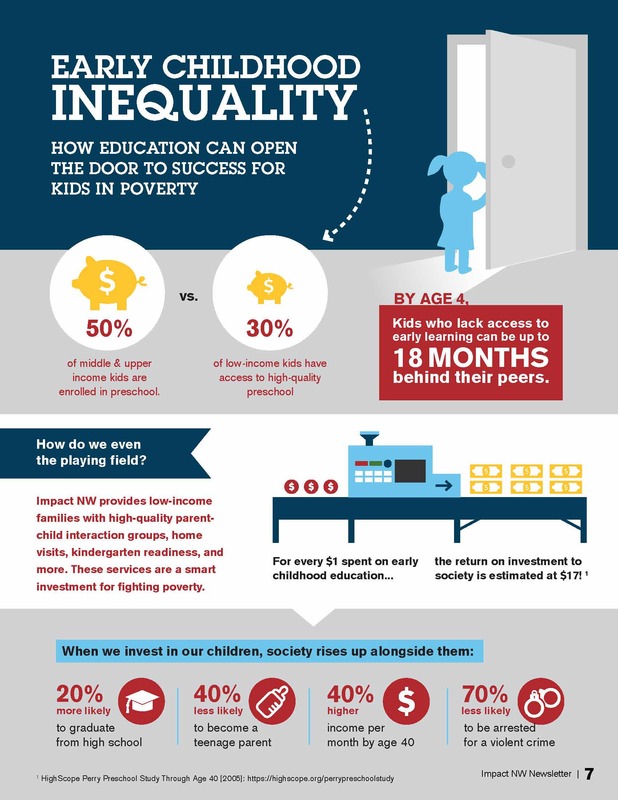 Education opportunities for young children are different based on the income level of their family. 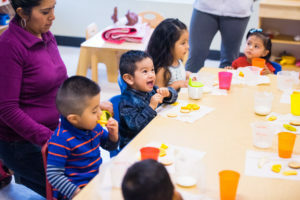 While 50% of middle-income and upper-income kids in Oregon are enrolled in preschool, only 30% of low-income kids have access to high-quality preschool. While access to preschool, or early childhood education, may not seem like a big deal, we know that it matters greatly. By age 4, kids who lack access to early learning can be up to 18 months behind their peers. How do we even the playing field? Impact NW provides low-income families with high-quality parent-child interaction groups, home visits, kindergarten readiness, and more. These services are a smart investment for fighting poverty. Research shows that for every $1 spent on early childhood education, the return on investment to society is estimated at $17! When we invest in our children, society rises up alongside them. making incomes 40% higher by age 40 than their peers who do not have access to high-quality preschool programs. It’s clear that early childhood education matters!